A sedation dentist most commonly administers dental sedation to patients in the form of a pill or IV sedation prior to their appointment. This sedation medication works as a sedative and anxiety medication to help you feel calm and relaxed during your procedure. Although some people use the term ‘sleep dentistry’ interchangeably with sedation dentistry, the dental sedation that your Dr. Jon Jenson prescribes does not actually make you fall asleep. Oral conscious sedation usually makes you feel groggy and very relaxed, but you can remain conscious throughout the procedure. Many patients choose to sleep peacefully throughout their visit. Unlike some forms of general anesthesia and deep sedation that can render a patient unconscious for a period of time, oral conscious sedation allow you to remain conscious. You continue to have control over your protective reflexes and breathing capacity to ensure greater safety, and you can still communicate verbally with your endodontist near Eagle Mountain if needed. 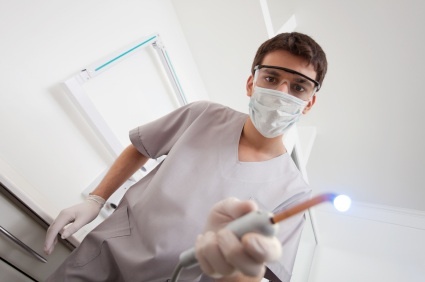 Many patients like that dental sedation creates a temporary amnesia effect, so that you won’t remember hardly anything about your endodontic visit. Reduced post-operative soreness is another positive side effect of dental sedation. To find out more about the benefits of dental sedation during root canal therapy, call Orem endodontist Dr. Jon Jenson and schedule a consultation.